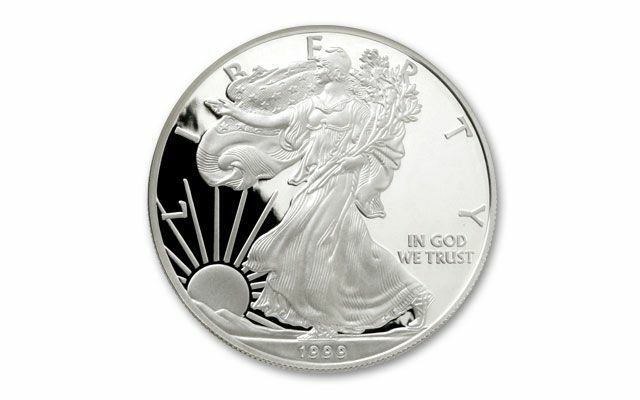 America’s finest silver is displayed in all its glory with the 1999 American Eagle Silver Dollar. Every year savvy buyers stash these away. Each is struck in one ounce of 99.9% fine silver and is in flawless Proof-70 condition. Grading service varies. As the turn of the century approached and fears swirled around the effects of Y2K, investors increasingly turned to precious metals as a hedge against economic uncertainty. In response, the U.S. Mint boosted mintages for the 1999 American Silver Eagle bullion coin to almost 7.5 million. 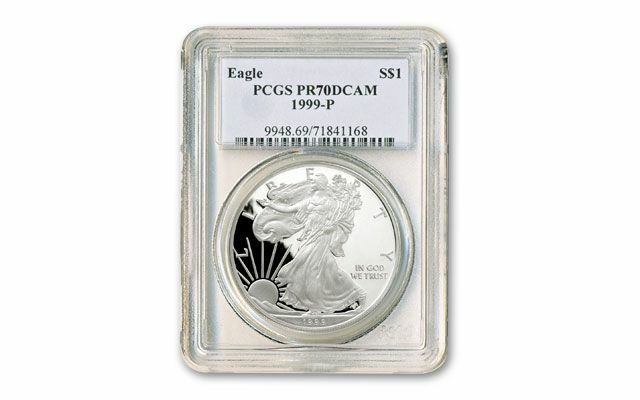 In addition to the 1999 Silver Eagle bullion coin, The U.S. Mint again produced a silver proof coin—the 1999 Proof Silver Eagle. The 1999 Silver Eagle proof coin was struck with a cameo finish, which has a mirror-like flat surface and lustrous raised contours. The entire mintage of 550,000 1999 Proof Silver Eagles sold out at the Mint. Because they carry a $1 face value, Silver American Eagles are often considered the modern equivalent of the silver dollar. 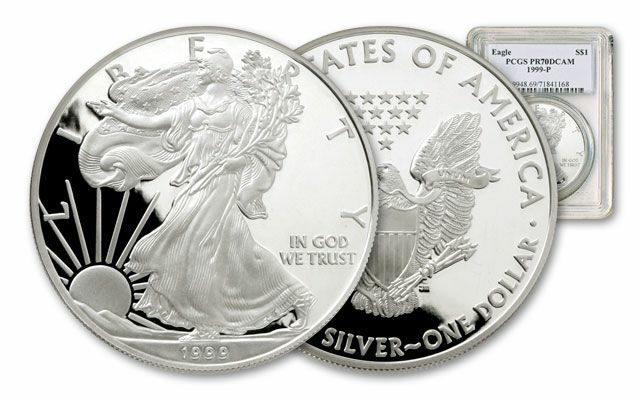 Many collectors assemble an entire set by purchasing one Silver Eagle bullion coin or Proof Silver Eagle from each year of issue—from 1986 through 2010. 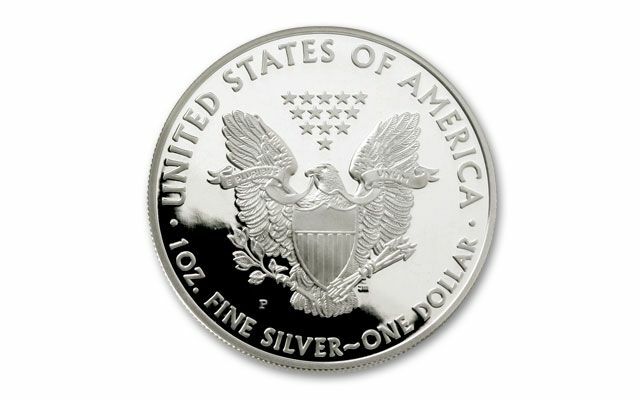 No matter which 1999 Silver Eagle you prefer, you can purchase with confidence, as the Silver Eagle is the only bullion coin whose weight, content and purity are guaranteed by the U.S. Government. The overall average price of silver during 1999 was $5.22 per ounce.